STMicroelectronics and Biricha Digital Power, an industrial training and consultancy company focused on switched power design and EMC, have developed a workshop to show power-supply engineers why and how to quickly move to a digital implementation. The workshop, aimed at analog PSU (Power Supply Unit) designers and embedded-system engineers who need to build high-performance, stable digital power supplies and Digital PFCs (Power Factor Corrections), will be based on a complementary portfolio of tailored hardware, software, tools, labs and detailed training documentation. This includes the STM32F334 product line (with its high-resolution timer – 217 ps), a member of ST’s STM32 family of more than 800 MCUs covering the full spectrum from ultra-low power to high performance and supporting ecosystem, combined with Biricha’s Power Supply and PFC design software. Key sessions will demonstrate how to quickly design digital power supplies and power factor correction from scratch, and how to design stable digital control loops for both voltage and current mode DC/DC and PFC applications. Workshop participants will get a chance to design, code, implement, and test several digital power supplies. The first workshop, an all-inclusive 4-day course hosted by Future Electronics, is scheduled for November 27-30, 2018 in Munich, Germany. 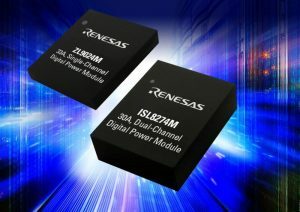 Renesas Electronics has announced two new fully encapsulated digital DC/DC PMBus power modules that board high power density and efficiency. The dual ISL8274M operates from a 5 V or 12 V power rail, provides two 30 A outputs and up to 95.5% peak efficiency in a compact 18 mm x 23 mm2 footprint. The new ZL9024M operates from a 3.3V rail and outputs 33 A of power in a 17 mm x19 mm2 footprint. They deliver point-of-load (POL) conversions for advanced FPGAs, DSPs, ASICs and memory used in servers, telecom, datacom, optical networking and storage equipment. Both devices are easy-to-use, PMBus-configurable power supplies that include a controller, MOSFETs, inductor and passives encapsulated inside a module that increases available board space and reduces bill of materials (BOM). The ISL8274M and ZL9024M digital power modules leverage Renesas’ patented ChargeMode control architecture, which provides the highest efficiencies with better than 90% on most conversions. The power modules also provide a single clock cycle fast transient response to output current load steps common in FPGAs and DSPs that process power bursts. Their compensation-free design keeps the modules stable regardless of output capacitor changes due to temperature, variation or aging. Eliminating the need for an external discrete compensation network also saves board space and additional BOM cost. 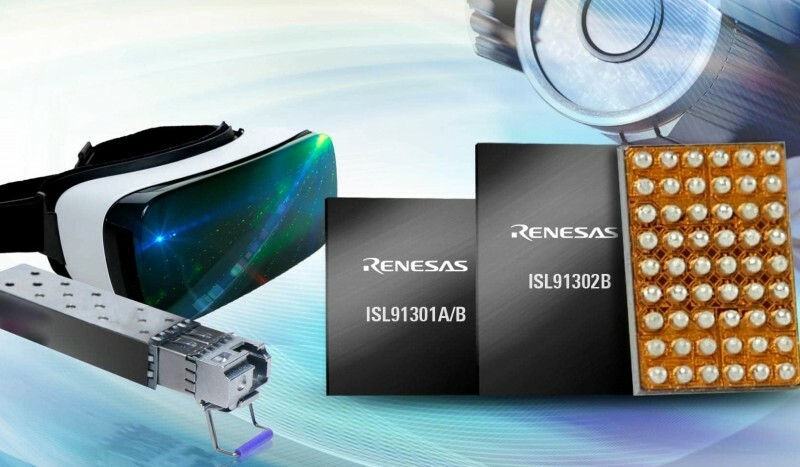 The ISL8274M supports input voltages from 4.5 V to 1 4V, while the ZL9024M accepts input voltages from 2.75 V to 4 V. Both modules offer adjustable output voltages as low as 0.6 V.
The encapsulated modules use Renesas’ proprietary High Density Array (HDA) package, which offers unmatched electrical and thermal performance through a single-layer conductive substrate that reduces lead inductance and dissipates heat primarily through the system board. The HDA’s copper lead-frame structure allows the modules to operate at full load over a wide temperature range with no airflow or heatsinks. The ISL8274M and ZL9024M also provide several protection features that ensure safe operations under abnormal operating conditions, further enhancing their robustness and reliability. The ISL8274M is available now in a thermally enhanced 18 mm x 23 mm x 7.5 mm HDA package, and is priced at $39 (1,000). An ISL8274MEVAL1Z evaluation board is available for $150. The ZL9024M is available now in a thermally enhanced 17 mm x 19 mm x 3.5 mm HDA package, and is priced at $29 (1,000s). 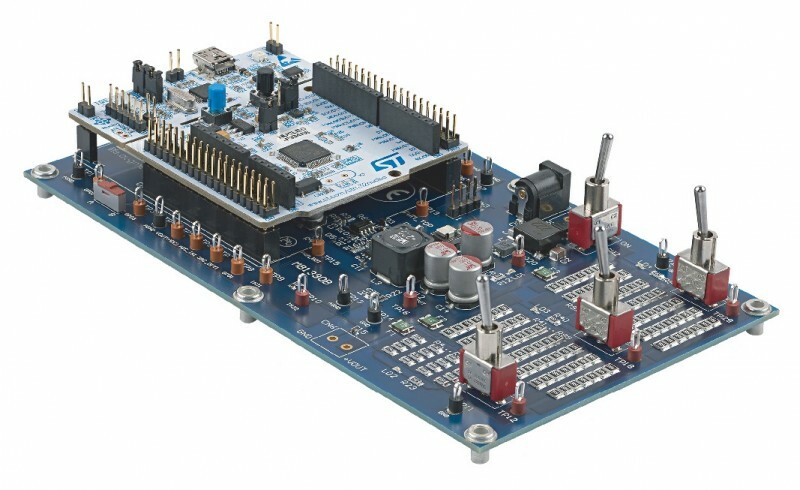 The ZL9024MEVAL1Z evaluation board is available for $95. Würth Elektronik eiSos and Infineon Technologies recently launched the jointly developed XMC Digital Power Explorer evaluation kit. The synchronous step-down converter can be assembled with two different control cards: XMC1300 ARM Cortex-M0 MCU and XMC4200 ARM Cortex-M4F MCU. 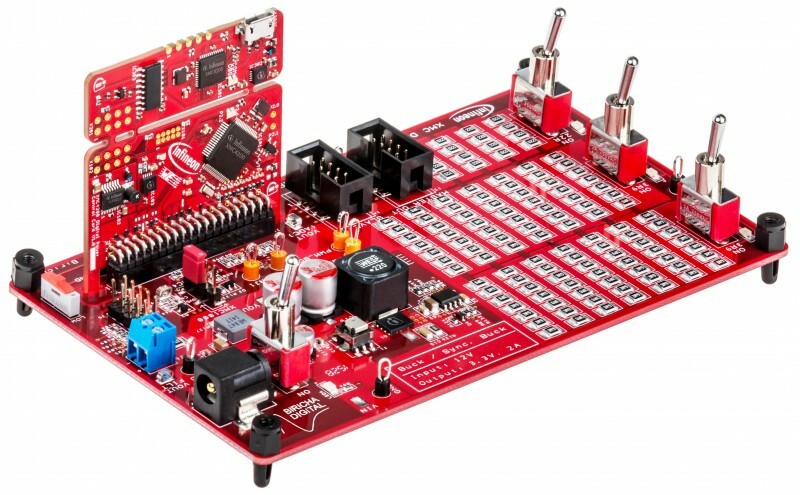 Intended for developers of analog power supplies and embedded software programmers, the XMC Digital Power Explorer Kit is a complete solution with hardware, softwaren and switchable resistance load bank. The high-performance XMC4200 family offers a high-resolution PWM unit (with 150-ps resolution) and intelligent analog comparators with precise slope compensation that can considerably simplify power supply design. The XMC1300 family is cost-optimized for simpler power supply applications. The Digital Power Explorer Kit costs approximately $130 . 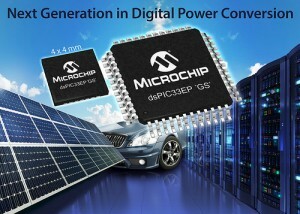 Microchip Technology recently launched the 14-member dsPIC33EP “GS” family of digital signal controllers (DSCs). The family delivers the performance needed to implement more sophisticated nonlinear, predictive and adaptive control algorithms at higher switching frequencies. The advanced algorithms enable energy-efficient power supply designs with better power supply specifications. Higher switching frequencies enable the development of physically smaller power supplies that offer higher densities and lower costs. In comparison to older DSCs, the new dsPIC33EP “GS” devices provide less than half the latency, when used in a three-pole three-zero compensator, and consume up to 80% less power in any application. The new family includes advanced features such as Live Update Flash capability, which is especially helpful for high-availability or “always-on” systems. Live Update can be used to change the firmware of an operating power supply, including the active compensator calculation code, while maintaining continuous regulation. Variants from this new digital-power-optimized DSC family are available in an industry’s-smallest, 4 × 4 mm UQFN package for space-constrained designs. Other key features of this family include up to five 12-bit ADCs with as many as 22-ADC inputs, providing total throughput of 16 Msps with a 300-ns ADC latency. The dsPIC33EP “GS” devices include 12-bit DACs for each of the four analog comparators for higher-precision designs. The two on-chip programmable gain amplifiers can be used for current sensing and other precision measurements. Including these advanced analog amplifiers on the device reduces the number of external components required, thereby saving cost and board space. The dsPIC33EP “GS” family is well suited for a wide range of applications, including computer, telecom (e.g., AC/DC and DC/DC power supplies), and industrial (e.g., solar inverters and LED lighting). Microchip’s MPLAB Starter Kit for Digital Power (DM330017-2, $129.99) supports the dsPIC33EP “GS” family. The 14 family members are available in various packages, from 28 to 64 pins. All the new DSCs are currently available for sampling and volume production, starting at $1.10 each in high volume.